Operating since 2005 we have a team of 3 Dentists and Oral Surgeons in 200 m2 dental centre located in central Istanbul. We carry out all types of Dental treatments including: Dental Implants, Porcelain Crowns and Laminate Veneers. 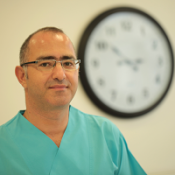 Our Oral Surgeons in Istanbul specialise in Dental Implants and place over 100 Dental Implants each month (Well above the average when compared to any other Istanbul dentist). Our success rate for our international Implant patients is 99.9%, a statistic that has been measured and maintained since 2005. Our aim is to offer our patients practical solutions at affordable costs compared to Europe, the USA and the UAE. Istanbul is a large city and we are located in the heart of Bakirkoy. The clinic is easy to find and is in close proximity to the main tourist shopping areas and popular site seeing destinations in Istanbul city within a 15 minute reach of Istanbul Ataturk airport. There are literally thousands of hotels to choose from so whatever your taste and budget we can assist with low accommodation to suit your pocket. We are up-to-date with the latest advances in dental techniques and technology so you can be confident that your treatment will be carried out at one of the best dental clinics in Istanbul. Using the latest smile design software you have an opportunity to review your new smile design before we get to work on crafting your new set of Porcelain Crowns or Laminate Veneers. Our reservations team are open 365 days a year and our phone lines are open 24/7 to answer any queries you may have in relation to your treatment or travel. There is no charge for a consultation or a Panoramic X-Ray. You will have an opportunity to discuss your dental problems and solutions with our Cosmetic Dentists or Oral Surgeons so you can make an informed decision about your future treatment. If you would like more information about your dental treatment in Istanbul please get in touch using the Contact Us form. Our Istanbul Dentists and Oral Surgeons are members of the Turkish Dental Association so you can be sure your treatment will be conducted by a registered qualified professional. Our Istanbul dental clinic is first class, modern in design, exceptionally clean and has the latest technology available for any dental practice. The clinic’s dental instruments are sterilized in an autoclave. The autoclave used is the highest technology, one which kills all bacteria and viruses including HIV, HEPATITUS B etc. We can provide every type of dental service without having to refer you to other specialists. This flexibility saves you time and money. We are experts at matching the needs of each patient to the skills of right dentist. We have made every effort to ensure the surroundings at our Dental Clinic put you completely at ease. Together with our committed and highly skilled patient coordinators, representatives, Dentists and Oral Surgeons, your visit with us will be a comfortable, calm and hassle free experience. Our clinic is modern in design, exceptionally clean and has the latest technology available in any quality practice. Our dental materials are sourced from across the globe to ensure the highest standards are maintained year on year. Our Dentists, Oral Surgeons and Reservations Team speak fluent English so you will be able to communicate freely during your consultation and treatment. What we do has benefited thousands of patients over the years, saving them thousands of pounds. Our Team are on hand to help you search for flights and accommodation in Istanbul, all you have to do is ask! Biography: Dr. Senem graduated from Dentistry Faculty of University of Istanbul in 2005. Her major experience is working on complex implant cases. She has made implant treatments for thousands of patients and installed over 1,000 implants to date with very high success rate. She is also applying advanced surgery technics as block bone transplantations, connective tissue transplantations, horizontal and vertical bone augmentations, plastic periodontal and aesthetic surgery. She has made treatments for many different cases regarding implant patients: e.g. patients who had unusual diseases, patients who lost a large amount of their jaw bone and require bone graft surgery. She has attended many international courses and seminars for dental implants and advanced surgery techniques. Graduated from Marmara Dentistry Faculty of University of Istanbul in 2002. She has worked at different dental clinics. 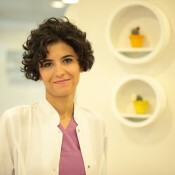 She has opened her private clinic in Istanbul/Bakirkoy with Dr. Senem. She has started as the medical tourism market expanded so she could combine her cosmetic dentistry and language skills. she has attended many national certification programs and courses on aesthetic dentistry including implant prosthetics and veneers. Her patient care and diligent nature makes him very different in aesthetic dentistry.